The RYA Yachtmaster Ocean Theory course is the first stage in obtaining the prestigious RYA/MCA Yachtmaster Ocean Certificate of Competence. This course is equally suited to those that aspire to blue water cruising or who just want to learn traditional navigation. 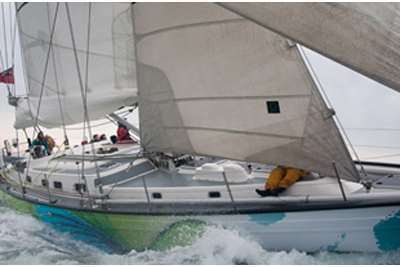 The course will equip you with the necessary theoretical skills to carry out an ocean passage as mate or skipper. The course will cover all aspects of ocean navigation with particular emphasis on the use of astro-navigation and worldwide meteorology. The sessions on astro-navigation will unlock the mysteries of the sextant and allow you to confidently take sights at sea to obtain your position and carry out compass checks. Ocean sailing is, however about more than just using a sextant. 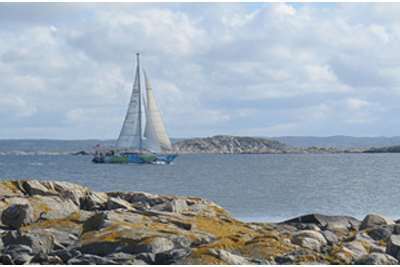 Another important aspect of ocean sailing is worldwide meteorology, passage planning and communications at sea. Publications that assist the ocean navigator such as routeing charts and other pilot books will be discussed. The course also recognises that there has been a vast improvement in technology available to help with ocean routeing and weather prediction. Time will be spent discussing the various computer programmes, internet sites and satellite/radio broadcasts available to the modern ocean navigator. Crew management, watch keeping, victualling, water and fuel management and emergency equipment are also covered. Having successfully passed this theory course you will be ready to put the theory into practice on an ocean voyage. Upon returning candidates who already hold the RYA/MCA Yachtmaster Offshore Certificate of Competence can apply to be examined for the full RYA/MCA Yachtmaster Ocean Certificate of Competence. 0900 Monday until approximately 1700 Friday. All course materials, morning and afternoon tea. For details of local accommodation establishments please click here. MCA/STCW Medical Care On Board Ship. Duration: 5 Days (Monday to Friday) . Previous Experience Required:RYA/MCA Yachtmaster Offshore Certificate of Competence for those intending to ultimately gain the RYA/MCA Yachtmaster Ocean Certificate of Competence, otherwise a knowledge of navigation to RYA Coastal Skipper/Yachtmaster Offshore theory level.